I would like to announce the launch of a new Cloud Computing community website! This is a new community website which focuses on having the answers for all your clouds. Got a question about Amazon EC2, Azure, Google app engine, Go-grid, rackspace, etc? Need to know how to modify your code? Wondering how to migrate? Just post the question and someone in the community will answer it for you. 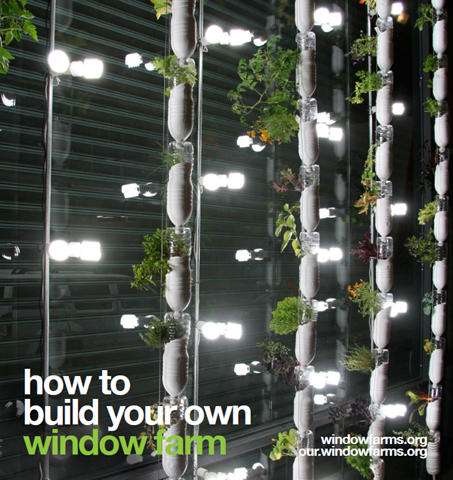 Window Farms focuses on helping households create their own “Micro farms” by utilising window space. The hydroponic system can churn out a salad per week. The tutorials take you through the process of measuring your window, calculating how many ‘pods’ to chain together, how to create the hydroponic solution, selecting pumps, etc. A good place to start learning is with a basic reservoir system window farm, this article has a PDF explaining the entire process (http://our.windowfarms.org/2009/07/30/how-to-build-a-reservoir-system-window-farm/), but I recommend exploring all of http://our.windowfarms.org/ to see what other ideas are there. If you have spare space and some free time, why not try constructing one yourself, not having a backyard isn’t an excuse any more! The March 2009 release of the Virtual Earth control for Silverlight (now known as the bing map control) was a great release. Up until then, projects like Deep Earth were trying to provide us with a way to use deep zoom + the virtual earth tiling to allow us to build Silverlight apps. Now Microsoft have given us an official control to play with. One of the big downsides of the official control was the lack of databinding. You still had to add / remove your pushpins & shapes manually just like you would with the AJAX version. There is code available on the Microsoft website that adds dependency properties to the Bing Maps control which expose ItemsCollection, ready for you to databind to. If you combine this with some custom datatemplates, you are able to databind directly to the map as you would expect.